We're back on Lefty this week at the St. Jude Classic. Fire him into your DraftKings lineups. What is known to many as the lead-up week before the U.S. Open, to the PGA Tour players not already in the field it is St. Jude Classic week. The FedEx St Jude Classic is played on TPC Southwind in Memphis and plays as a Par 70 around 7,200 yards. Scrambling is always a key at this course as the field averages around 56% GIR. Par 5 Scoring will also be important despite there only being two of them on the course. Last year we saw the chalk rise to the top as the three highest owned players on DraftKings all finished in the top five, with the fourth-highest owned golfer placing T12. Although the winner (Daniel Berger) was not popular, he was still around 13% owned. Last week we said it was perfect spot to choose Phil. This week is more of the same. 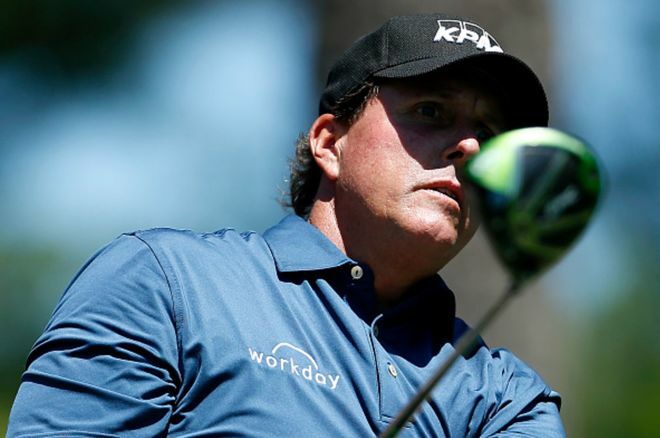 Although his salary climbed $2,500, it is a very weak field and Phil has played very well here. Phil added to his upward trend as he finished T22 last week. He ranks 49th in approaches 175-200 yards, and has climbed another 12 spots in GIR (climbed 49 places in the last 6 weeks). Lefty ranks ninth in BoB% and fourth in Par 4 Scoring on the season. He will look to rebound from a non-Phil like scrambling week at the Memorial. With news breaking that he could miss the US Open for his daughter’s graduation, Phil will have extra incentive to win this week. In most weeks we would advise against paying this much for Henley. But in a weak field where he placed seventh last season, we are advising it. Although coming off a missed cut at the Byron Nelson, his stats are perfect to make a run this week. He ranks 15th in BA, 29th in approaches 175-200 yards, 19th in BoB%, 16th in Par 5 Scoring and 22nd in GIR. He already has a win on the year (The Shell) and he will look to bounce back for that missed cut three weeks ago. Stanley, like Henley, has the perfect stats to play well this week. He ranks 21st in BA while ranking 26th in BoB%. He also ranks second in GIR while ranking 18th in approach yardages 175-200. He scores very well on Par 5s, ranking 11th on the season. Stanley missed the cut here last season but he was nowhere near on the level of playing he is at right now. He finished fourth at The Players and finished sixth last week at The Memorial. If he can get the flat stick working, look for his name at the top of the leaderboard Sunday.